Easier updates on the way? Microsoft's forthcoming Windows 8.1 operating system will reportedly facilitate background app updates that take place without bothering the users. 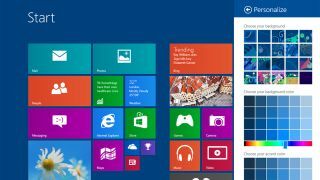 The Winbeta blog brings word from users running the latest build of the Window 8.1 software that apps are automatically updating themselves. Silent, background app updates would certainly make life easier for Windows 8 users. Currently, when an app update is available, users receive a notification and are prompted to visit the Windows Store to download, which is a little bit of a hassle. Microsoft is expected to officially unleash Windows 8.1 (or Windows Blue as it has been codenamed) at its Build conference in June. The boost is likely to see the return of the Windows Start Screen, which was omitted in Windows 8, greater SkyDrive integration, Internet Explorer 11 and much more.